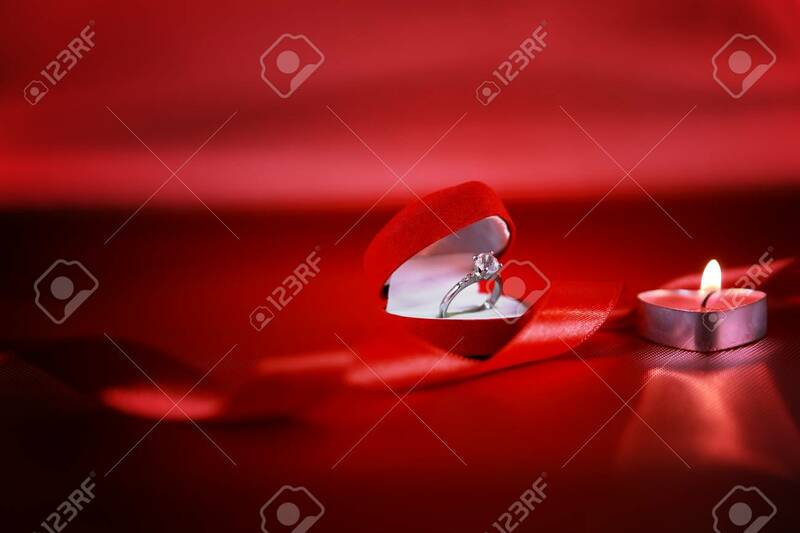 Wedding Solitaire Ring In Heart Shaped Red Box With Candle And Red Ribbon On Red Background. Valentine's Day Concept. Фотография, картинки, изображения и сток-фотография без роялти. Image 115800154. Фото со стока - Wedding solitaire ring in heart shaped red box with candle and red ribbon on red background. Valentine's day concept. Wedding solitaire ring in heart shaped red box with candle and red ribbon on red background. Valentine's day concept.